After 28 years in the beverage business running a distributorship of beer in western Nebraska, Tim Rouzee was ready to own his own business and be part of developing a concept in a niche market. Tim’s wife worked with career coaches, created a job profile, and came across the franchise opportunity with Dental Fix Rx. Because of Tim’s handiness and strong sales skills, she thought the franchise was the perfect fit for him. She had a good eye. The business opportunity was a breath of fresh air for Tim and he has already accomplished tremendous growth. This year especially, he’s seen steady increases in sales. Tim has built a reputation in the Denver and Aurora community by establishing a core customer base that appreciates his support. His goal is to add another employee by the end of this year. Q: Where did you get most of your advice/do most of your research? Any training resources from corporate that you found to be extremely useful? After my wife discussed the opportunity with me, we started looking online and calling franchise owners to learn about their experiences. We liked the concept of Dental Fix and I also have a friend that was a doctor in Nebraska, who had dental equipment serviced by a franchisee and was treated him well, so I thought the reverse side must be just as good. Becoming a Dental Fix franchise owner also had a very quick turnaround time: we discovered the franchise in July, attended a Discovery Day in August, and I signed my franchise agreement that day to begin training. Even though it’s a franchise, you are starting a business from the ground up. When I began to establish my service area, there was only one Dental Fix franchisee in Colorado Springs: no one in Denver had heard of Dental Fix until I brought it to the market. It’s been a blessing for me to have another franchisee nearby. Three weeks before I started, I met him in Florida for training and I now call him my partner even though he owns and operates his own franchise. Some jobs require two people so we often work close together – it’s been a great system for us. It’s a lot of hard work, but very rewarding when you see your franchise grow and progress to what you hoped it would be. It doesn’t happen overnight: some nights I’ll be awake at 10 pm in my garage working on a piece of equipment. It’s a challenge, but you must work hard to get ahead. How has the Dental Fix franchise changed your life for the better? Owning my own business, setting my own hours, and being able to arrange top priority items is the best. You get to work for yourself and the satisfaction of that is what has changed my life. Founded in 2009, Dental Fix Rx is a fast-growing mobile dental equipment repair service franchise that is revolutionizing the dental service industry by delivering immediate, on-demand equipment service, hand-piece repairs and cost-effective consumable products through its network of highly-trained franchise professionals. 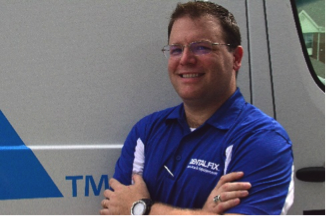 With local franchise owners serving businesses within their market, Dental Fix Rx completes repairs on-site from mobile repair centers that are equipped to fix a wide range of equipment found in any practice – from compressors to chair upholstery. The company has granted more than 250 franchises territories that service over 18,000 customers throughout North America. For more information, visit www.dentalfixrx.com. For franchise information, call (855) 242-5230 or visit www.dentalfixrx.com/franchise/. DAVIE, Fla. – April 26th, 2017 – Dental Fix RX, a fast-growing national mobile dental equipment repair franchise, has officially signed an agreement with Charles Armour, a North East, Maryland-based entrepreneur. The agreement marks the 9th franchise territory sold in 2017, and the 1st mobile repair van to launch in the State of Delaware. Founded in 2009, Dental Fix RX is a fast-growing mobile dental equipment repair service franchise that is revolutionizing the dental service industry by delivering immediate, on-demand equipment service, hand-piece repairs and cost-effective consumable products through its network of highly-trained franchise professionals. With local franchise owners serving businesses within their market, Dental Fix RX completes repairs on-site from mobile repair centers that are equipped to fix a wide range of equipment found in any practice – from compressors to chair upholstery. The company has sold more than 250 franchise territories that service over 18,000 customers throughout North America. For more information, visit www.dentalfixrx.com. For franchise information, call (855) 242-5230 or visit www.dentalfixrx.com/franchise/. DAVIE, Fla. – To accommodate demand, Dental Fix Rx has added three new Discovery Day events to the calendar in May. The additional dates are scheduled for Thursday, May 11; Thursday, May 18 and Tuesday, May 30 at its corporate headquarters in Davie, Florida. The fast-growing mobile dental equipment repair service franchise has granted more than 250 franchises throughout North America since its founding in 2009. Already this year, the company has signed 11 new franchise agreements and expects to award another 40 before the end of the year. To help set new franchisees set up for success, Dental Fix Rx recently formed a relationship with Mercedes Benz International and Funding Wonder—a digital social lending community at www.fundingwonder.com—making financing available to franchisees with $25K in liquid capital and a 670 credit score. The funding covers several aspects imperative to launching a Dental Fix Rx franchise – including the franchise fee, van buildout, working capital, training and training-related travel costs. Founded in 2009, Dental Fix Rx is a fast-growing mobile dental equipment repair service franchise that is revolutionizing the dental service industry by delivering immediate, on-demand equipment service, hand-piece repairs and cost-effective consumable products through its network of highly-trained franchise professionals. 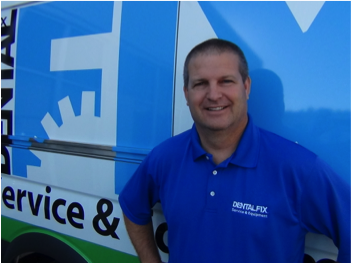 With local franchise owners serving businesses within their market, Dental Fix Rx completes repairs on-site from mobile repair centers that are equipped to fix a wide range of equipment found in any practice – from compressors to chair upholstery. The company has granted more than 250 franchises that service over 18,000 customers throughout North America. For more information, visit www.dentalfixrx.com. For franchise information, call (855) 242-5230 or visit www.dentalfixrx.com/franchise/. DAVIE, Fla. – Off to an impressive start of the year, Dental Fix Rx added seven new franchisees to its franchise system in quarter one, including a master franchise agreement in Alberta, Canada. These newly signed franchise agreements will bring the brand into eleven new markets throughout North America. As consumer demand remains strong, the nation’s leading dental equipment repair service franchise is experiencing an influx of interest from prospective franchisees looking to fill the deep void in the dental industry. The company expects to sign another 40 franchise agreements this year. The dental industry isn’t the only sector to take notice of the brand. This past quarter, Dental Fix Rx was named by Entrepreneur magazine as one of the top franchises in the nation, ranking the franchise No. 185 overall and No. 40 on the list of low franchise investments. The company also ranked No. 14 in Franchise Gator’s annual list of the Top 100 Fastest Growing franchise concepts. Dental Fix Rx is constantly creating new programs and forming new relationships that add value to its franchisees and their customers. In January, Dental Fix Rx formed a relationship with Mercedes Benz International and Funding Wonder—a digital social lending community at www.fundingwonder.com—making financing available to franchisees with $25K in liquid capital and a 670 credit score. The funding is available to help set franchisees up for success, covering several aspects imperative to launching a Dental Fix Rx franchise – including the franchise fee, van buildout, working capital, training and training-related travel costs. This past quarter also marked record sales among Dental Fix Rx franchisees with Darby Dental Supply. Franchisees are able to generate additional revenue by offering Darby Dental Supply products to dental practices. This is a result of the equity partnership formed between Dental Fix Rx and the Darby Group, the nation’s largest all-telesales dental products distributor, in 2016. Since the inception of this equity relationship, many Dental Fix Rx franchisees have referred dentists to Darby Dental Supply, resulting in hundreds of dentists rounding out their service supply mechanism with both brands. Darby also refers work to Dental Fix franchise owners from its 37,000 supply customers. Another example of the brand’s aggressive growth efforts is the California franchise incentive it rolled out in March. While Dental Fix Rx has open territories throughout North America, one of the top markets the company is looking to develop is California. To augment its franchise growth, company executives will be hosting mobile Discovery Day events through September in Anaheim, Fresno, Los Angeles, Oakland, San Diego, San Francisco, San Jose and Sacramento. The company will also be offering a generous incentive to a lucky eight new California franchisees. In each of these California markets, Dental Fix Rx will waive the initial franchise fee (which includes the initial training fee for one person) for a qualified and randomly selected individual who attends the Discovery Day event and executes the franchise agreement (no earlier than 14 full days after such prospective franchisee receives the Dental Fix Rx Franchise Disclosure Document) (a $25,000 value)*. DAVIE, Fla. – April 18th, 2017 – Dental Fix RX, a fast-growing national mobile dental equipment repair franchise, has officially signed an agreement with Matt Goldberg and Johnny Yuen, Long Island, New York-based entrepreneurs. The agreement marks the 8th franchise territory sold in 2017, and the 9th mobile repair van to launch in the State of New York. DAVIE, Fla. – Dental Fix Rx, a fast-growing mobile dental equipment repair service franchise, is taking its Discovery Day meetings on the road to the annual California Dental Association’s Art and Science of Dentistry, held at the Anaheim Convention Center in Anaheim, California. Prospective franchisees are invited to attend the mobile Discovery Day events on May 4-6 to learn more about the Dental Fix Rx franchise opportunity and meet with existing Dental Fix Rx franchisees. Dental Fix RX will be operating out of the Darby Dental Supply booth (No. 760). The Darby Group, the nation’s largest all-telesales dental products distributor, became an equity partner in Dental Fix Rx in 2016. Beyond the equity stake in the company, through this relationship Dental Fix Rx franchisees are able to offer Darby Dental Supply products to dental practices and also provide dental equipment service and repair to Darby Dental Supply customers. DAVIE, Fla. – Dental Fix Rx’s updated Franchise Disclosure Document (FDD) is now available to prospective franchise owners, who will find an attractive update to Item 5, pages 6 thru 17, which covers investment costs. Due to the franchise’s tremendous success, new franchise owners coming onboard can take advantage of newly negotiated cost savings – making the total initial franchise investment approximately $92,500 plus working capital. Additionally, as a result of its strong franchise network, Dental Fix Rx was able to leverage new efficiencies in operational support and extend operating cost savings of approximately $10,000 to new franchisees in their first year of business. The fast-growing mobile dental equipment repair service franchise awarded more than 250 franchises throughout North America. The company has averaged selling and opening more than 40 franchises annually for the past three years, and expects to sign another 40 franchise agreements in 2017. Dental Fix Rx executives anticipate all U.S. territories to be sold within the next three years. Creating value for franchisees, such as the newly negotiated cost savings, will aid the franchise in achieving these marks. Dental Fix Rx is constantly creating new programs and forming new relationships that add value to its franchisees and their customers. Proof of this is the relationship the company formed with the Darby Group, the nation’s largest all-telesales dental products distributor, which became an equity partner in Dental Fix Rx in 2016. Beyond the equity stake in the company, through this relationship Dental Fix Rx franchisees are able to offer Darby Dental Supply products to dental practices and also provide dental equipment service and repair to Darby Dental Supply customers. Contact Scott Mortier at (773) 255-4095 or scott@dentalfixrx.com to receive the updated FDD and learn more about the Dental Fix Rx franchise opportunity. Prior to joining the Dental Fix Rx franchise, Michael worked at a recycling/composting company for seven years. Working directly with recycling firms, construction companies and homeowners, he oversaw the process of breaking down beverages to produce soil, mulches and compost. Seeking more for himself, Michael always wanted to be the master of his destiny and have his own company. When he saw that his current employer had little to no room for vertical growth, he put in his two weeks’ notice. Without knowing his next move, he teamed up with a franchise broker. He was immediately attracted to the Dental Fix business model because he would be a single operator, have a hands-on approach and be a part of the healthcare industry. He also liked that he gets to help others by making the dentists’ lives easier. The big selling point for Michael was seeing the business for what is: an environment driven by relationships and how well you treat people. That always came easy for Michael – if you put good in, you will get good out. With Dental Fix, you’re not competing over price but how well you run your business. Q: What advice do you have for individuals who want to own their own Dental Fix franchise? Go for it! Be ready to learn and grow every day. No matter the training or how many times you’ve done a repair, there will always be curve balls. I find success by being hungry for more knowledge and constantly researching equipment, staying up with what’s new and always improving my repair methods and business practices. Q: You’re the only employee – how do you stay motivated? Is there anything you do to de-stress if you’re feeling overwhelmed? I learned from other franchisees that on those days (when you’re not feeling your best) to always make the last appointment a favored dental practice or relationship. It keeps you motivated to see them and it ends the day on a good note. My family is very supportive and my wife is now joining me on the administration side of the business. Dental Fix Rx is really for the go-getters and with the right plan in place and determination, you will succeed. When you’re on your own and your fate is in your hands, you don’t have time to struggle. You have to quickly evaluate your strengths & weaknesses, and either learn how to improve or find someone who will pick up where you lack. Since she joined me in January 2017, my wife has taken the reins on the collections, ordering parts, producing estimates and accounting. During my windshield time, we’d always talk but now we get to spend time together building something that helps others and I feel unstoppable with my life partner as my business partner. Working together was our long-term goal all along. We see Dental Fix as the first of many businesses we own and operate with the goal of giving back to our community and those in need. Q: Initially, the first 6-12 months of owning a small business are the hardest. Tell me about your experience. How did you stay positive? My van broke down three weeks after I opened for business, so I had a pretty tough launch. Being a mobile business, I was losing my office, my repair center, my everything. The van was out of commission for four months, which meant a lot of working out of my wife’s Prius or begging and borrowing cars until my van was up and running. My wife is a pediatric nurse, so I would take her to work at 5 a.m., get our kids ready for school, drop them off, try to figure out what parts I might need for the day, and go to work. There were tools and parts everywhere. I ended most days at the Mercedes dealership 10 feet in the air! I would work inside my van while it was on a lift and the technicians worked underneath – it was quite the adventure but I survived. It all goes back to how badly you want to succeed. I knew I was going to figure it out and kept my focus on building relationships. I used my situation to bond with my customers, whom are often business owners themselves. When they saw the lengths I was going to get my business off the ground despite the adversity, they were rooting for me. At the end of the day, the business model is solid and what Dental Fix Rx is offering is legit. I don’t know of another company that would survive if that much of the operation went down during the offset. This work offers a lot of flexibility and if you have the right attitude and dedication, you will make it. Prior to becoming a franchisee, Ignacio worked for Dental Fix Rx corporate for two years handling tech support. His now business partner, Pedro Noories, and friend informed him that a territory in California was available. With his vast knowledge in the repair industry, his background as a mechanical technician, and well aware of the opportunity through corporate—he decided to invest in the brand as a business owner. Like any new entrepreneur, I was worried about my family. I had to remind myself that I had been working for the company for two years and saw the success from behind the scenes. I knew it was a good concept and once I took the leap of faith, I’ve been able to expand into three separate communities. They have to see the bigger picture and be eager to put in the work to get there. The most successful business owners are the ones that understand that it’s going to take longer than six months to be where you want to be. It takes time and a lot of effort to develop the business in your individual community and make those personal connections with the dentists. As a single operator, you’re in charge of your own success and as a business owner you determine how successful you want to be. You have to make a living, so that’s what drives me to get out there and put in the work. It also helps that I enjoy what I’m doing – I love repairing equipment and helping dentists in a time of need. Q: Initially, the first 6-12 months of owning a small business are the hardest. Tell me about your experience. How did you stay positive and motivated? I built my clientele list by referrals from other dentists. The hardest business hurdle I had to overcome was when I broke my leg in a scuba diving accident. I was out of business for four months and couldn’t go on most jobs. During that time, I turned to the help of other franchisees and the support of corporate to help service my area and keep customers happy.